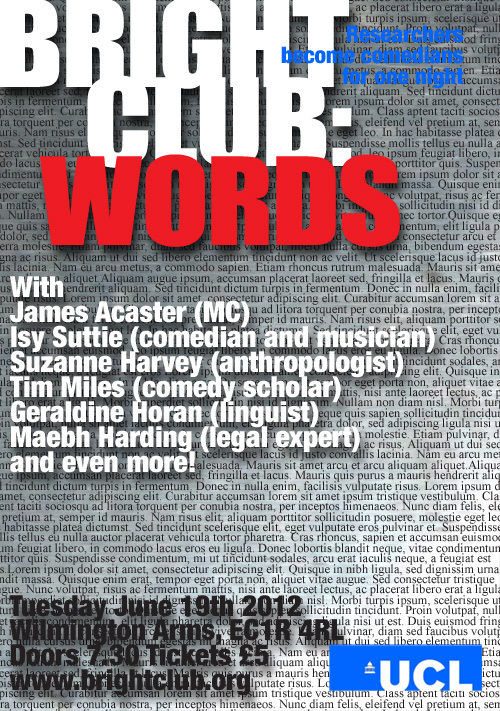 It’s time for Bright Club to turn a group of wordy folk into hilarious standup comedians for one night only! With more to be added to the bill! Tickets are on sale at http://www.wegottickets.com/event/171880 for £5 each. The gig is 19th June, Wilmington Arms, Doors 7.30pm. Come along early if you want a seat!